The Janesville Police and Fire Commission has narrowed a list of 32 fire chief applicants to five finalists. The finalists include Interim Fire Chief Jim Ponkauskas, who is now in charge of the department after Randy Banker officially retired Friday. The commission selected the finalists during a mostly closed-session meeting Thursday. Members declined to release the names until each person had been notified and confirmed he was still interested in the position. Janesville Human Resources Director Sue Musick shared the names and their resumes Monday in emails to The Gazette. John C. Clark, fire chief, Baker City, Oregon. Donald J. Kaderabek, retired deputy fire chief, Bloomingdale, Illinois. Ernest G. Rhodes III, former fire chief, West County EMS and Fire Protection District, Manchester, Missouri. James P. Zarek, deputy fire chief, DeKalb, Illinois. Clark was sworn in as Baker City fire chief just one month ago. At the time of his application to Janesville, he was the fire chief of Delta Township Fire Department, located outside Lansing, Michigan. He had been with Delta Township since 2011. Prior to that, he spent nearly three years as an assistant fire chief with Washington Township in Michigan, according to his resume. Kaderabek retired in 2018 after three years as the deputy chief at the Bloomingdale Fire Department in Bloomingdale, Illinois. He has also served as the division chief of the Riverside Fire Department in Riverside, Illinois, since 2013. Rhodes was the fire chief of West County EMS and Fire Protection District in Missouri for five years until 2017. He left to take a job as the state director of the Missouri Emergency Management Agency. He has also worked on various Federal Emergency Management Agency teams since 2000. Zarek has been DeKalb’s deputy fire chief since 2016. He has been with the department since 1990, serving as a firefighter, paramedic, lieutenant, captain and battalion chief. Ponkauskas has been with the Janesville Fire Department since 1994. He also worked with the Orfordville Fire Protection District from 1988 to 2013. He served as Orfordville’s fire chief beginning in 1999. Commission Chairman DuWayne Severson said Ponkauskas will not have an inside edge on the job despite having experience with the department and being the only in-state candidate. Each finalist will be given an equal chance, he said. The new fire chief will take control of an agency that shares administrative duties with the Milton Fire Department. It’s possible the two departments will collaborate on building a new fire station somewhere between Milton and Janesville. Milton’s existing fire station is outdated and needs improvements. 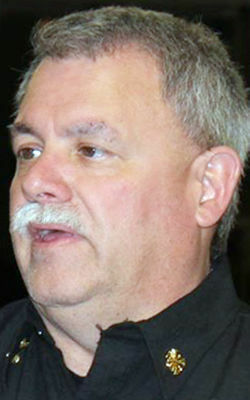 The new fire chief also will oversee lingering tension between Janesville’s fire union and city administrators. Janesville Fire Fighters Local 580 President Jason Daskam told The Gazette in October the city mishandled contract negotiations and strained the working relationship between the two sides. The police and fire commission worked with GovHR, a consulting company, to help whittle the number of fire chief candidates to five. GovHR will conduct tests Jan. 29, with the finalists, and the commission will interview each of them the next day. 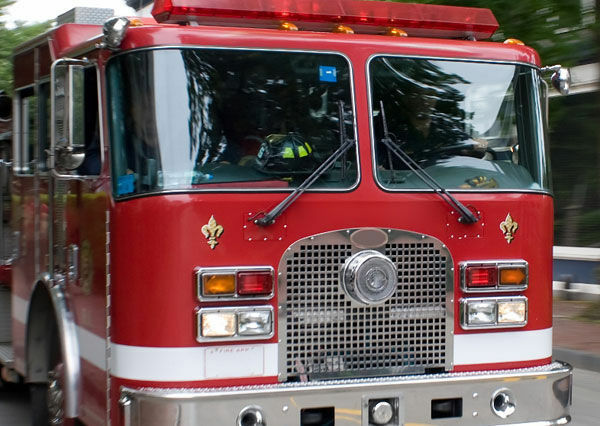 After receiving 32 applications for a new Janesville fire chief, the police and fire commission is ready to narrow the pool to an undetermined number of finalists.